Does El Nino mean more snow for the Alps? El Nino appears to be a hot topic for the Tabloid Press at the moment. Depending on where you live there is a lot to be excited / scared about. Climatologists are predicting a monster El Nino this year, possibly the second biggest on record. But what exactly is El Nino and how does it affect the snow for this season in the French Alps? El Nino is part of the ENSO cycle (El Nino-Southern Oscillation) which describes the fluctuations in temperature between the ocean and atmosphere in the Pacific Ocean. El Nino refers to the periodic warming of the sea surface temperature and how the atmosphere reacts. These warmer ocean temperatures have a knock on effect to the global climate. The other side of the coin is La Nina which describes the relationship between periodic cooling of the sea surface in the Pacific Ocean and the atmosphere. El Nino occurs every 2 – 7 years and La Nina not quite so often. So should skiers keep an eye on El Nino as a snowfall predicter? In some parts of America the answer is yes. In the southern third of the United States El Nino generally results in higher than average snowfall. However in the northern third of the country El Nino tends to cause warmer temperatures and less snowfall. So for winter season 2015/16 there may be more snow in Californian resorts such as Squaw Valley and Northstar, but less snow in more northern resorts like Whistler and Aspen. This will be welcome news as winter 2014/15 was a bumper year in the north and a shocker in the south. But what about the effect of El Nino on snowfall in the European Alps? 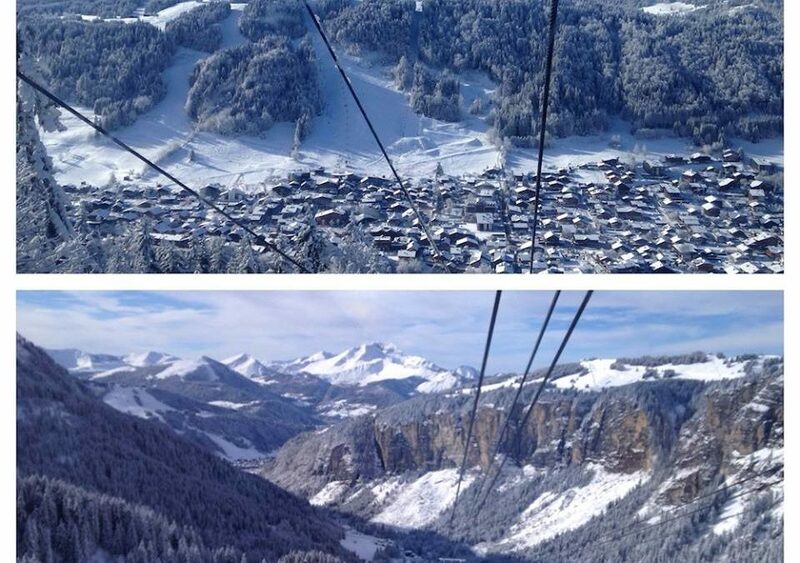 Will this ‘monster’ El Nino determine this years snow in Morzine and Le Grand Massif? The short answer is no. There has never been a proven link between El Nino and snowfall in the Alps. The Met Office forecaster Tomasz Shafernaker says that sometimes El Nino can bring colder and drier weather to Europe in the winter and spring, however El Nino ‘never behaves in the same way twice, and this is just one of the elements at play.’ Other factors such as the North Atlantic Oscillation play arguably a bigger role, as do a large number of other variables. So, it’s nice to see snow arriving so early in Avoriaz this season. But is it because of El Nino? Probably not. Does El Nino mean for snow in the Alps?